NEW YORK (CNS) — “Wonder” (Lionsgate) is a beautiful film about ugliness. 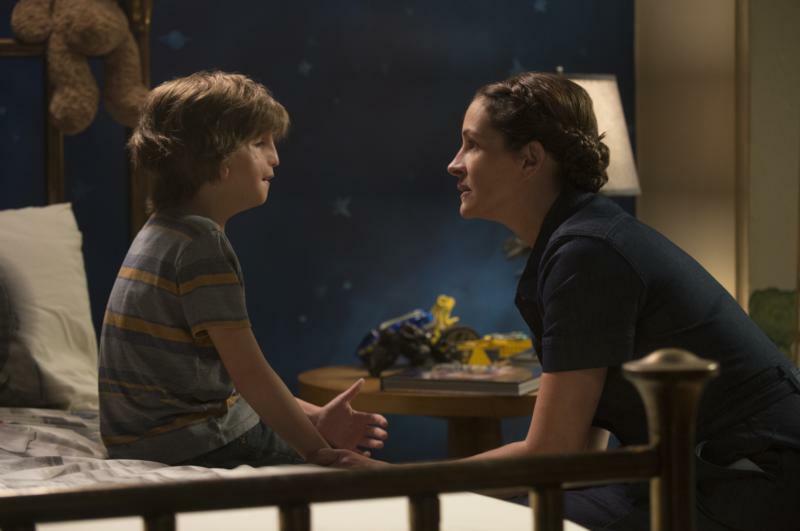 Its protagonist is August “Auggie” Pullman (Jacob Tremblay), a 10-year-old boy born with facial deformities whose misshapen visage becomes a moral Rorschach test for the people around him. Though reluctant to subject Auggie — who usually goes out in public wearing an astronaut’s helmet that conceals his face from view — to the potential ordeal of school life, Nate and Isabel know it will be the best thing for him in the long run. They find an ally in Auggie’s principal, Mr. Tushman (Mandy Patinkin), a rabbi-like figure who serves as the movie’s ethical core. Subplots involving Via’s best friend, Miranda (Danielle Rose Russell), and newfound love interest Justin (Nadji Jeter) reinforce the idea that all of us are potential heroes or villains. Though some of the people in Auggie’s world are wholly good — his parents and Justin, for example — no one is presented as irredeemably wicked. The film contains a scene vaguely referencing married sexuality, fleeting scatological material, a couple of fistfights, one use of profanity and a single mildly crass term. The Catholic News Service classification is A-II — adults and adolescents. The Motion Picture Association of America rating is PG — parental guidance suggested. Some material may not be suitable for children.